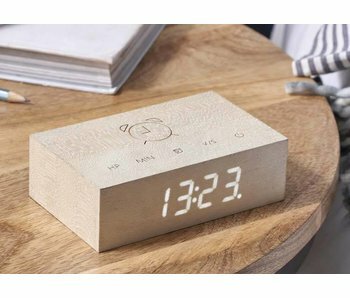 Natural materials, intelligent technology, fine details. 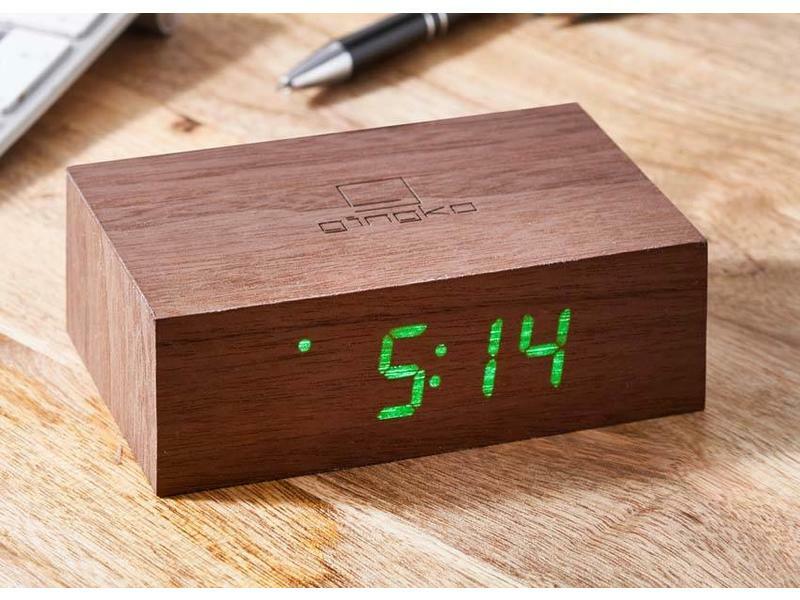 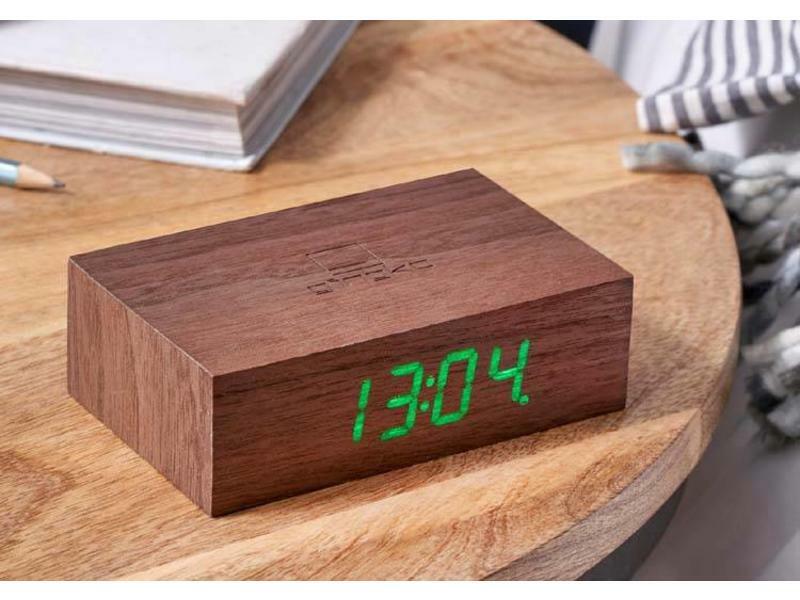 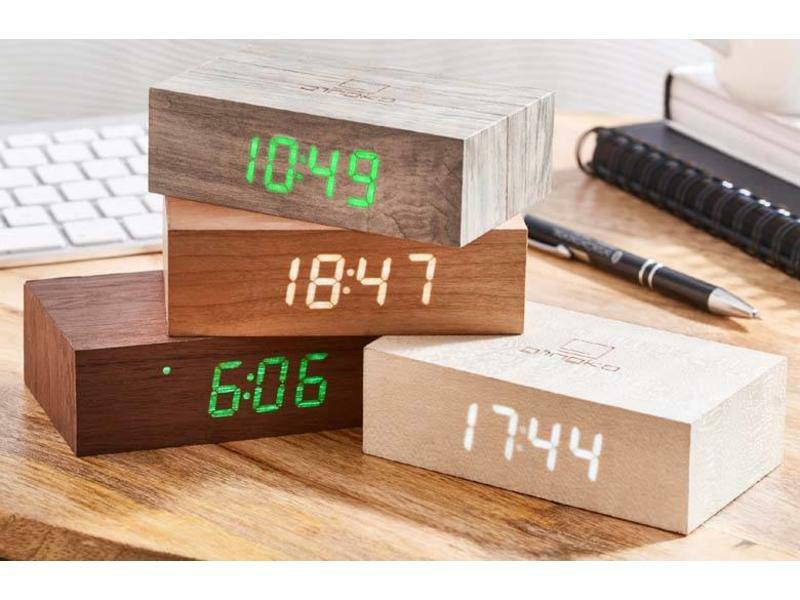 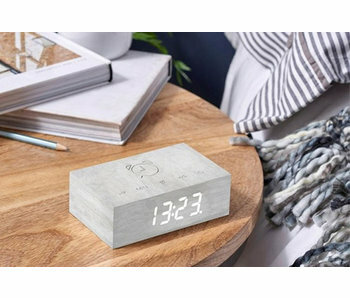 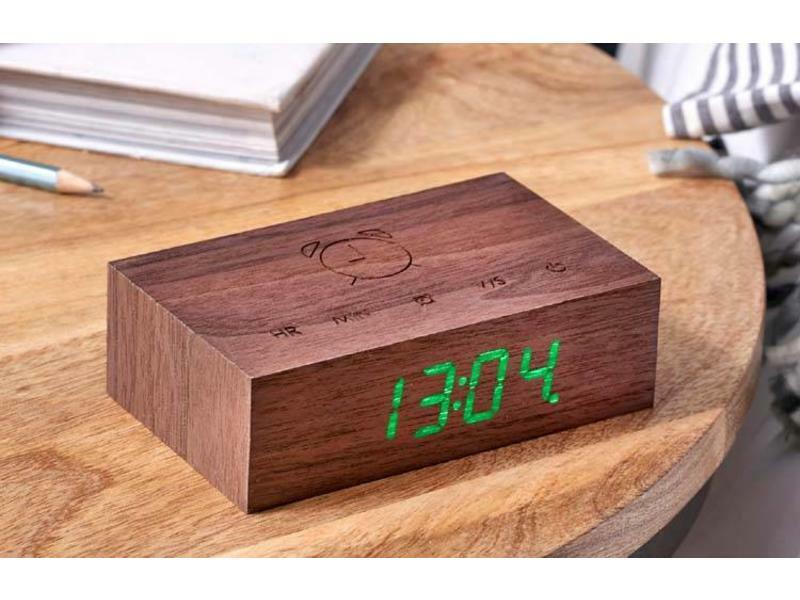 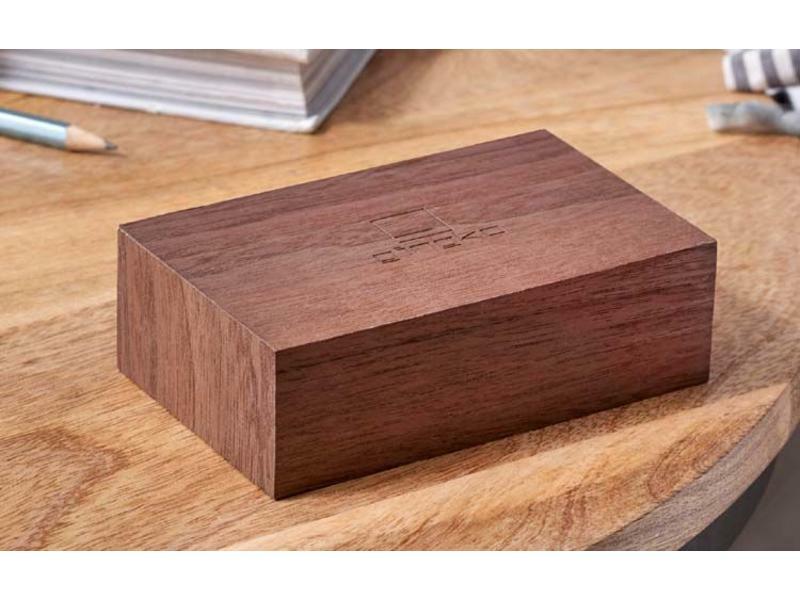 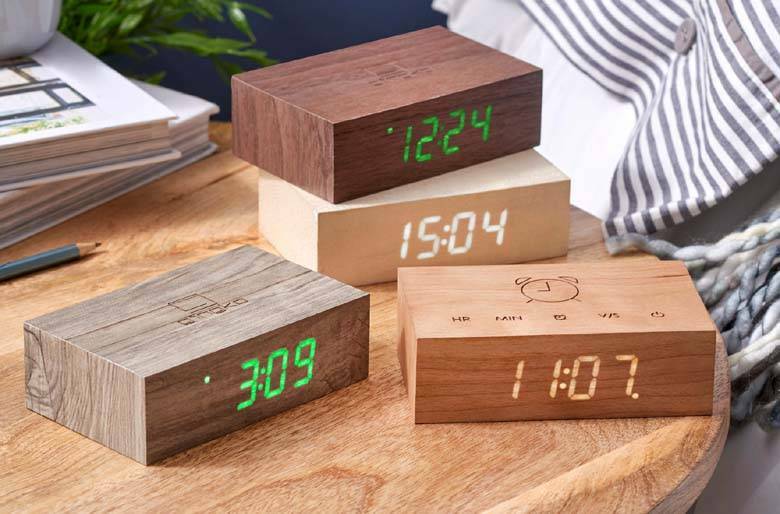 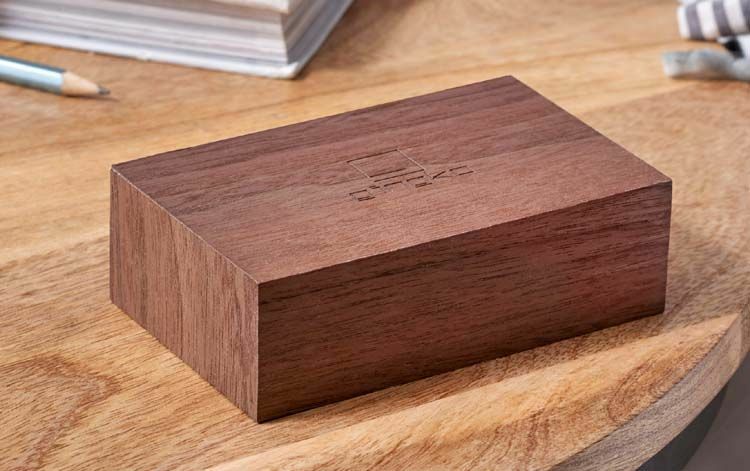 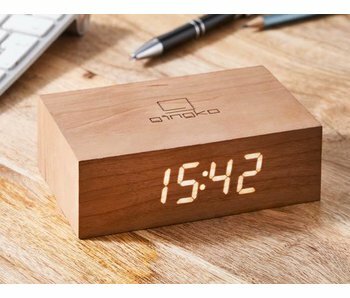 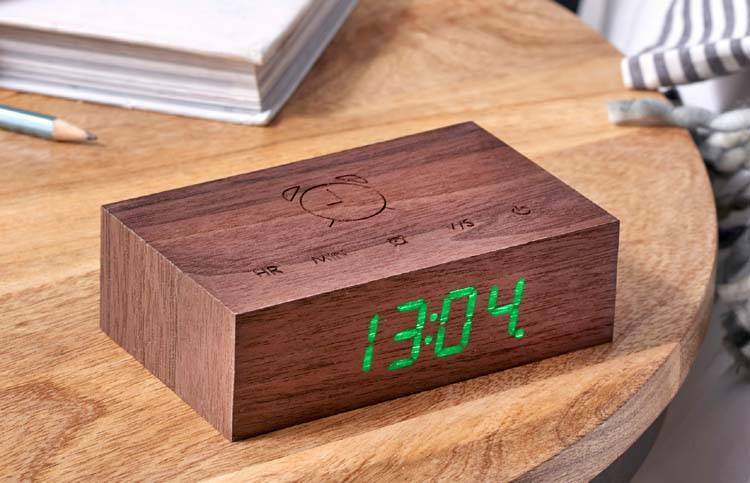 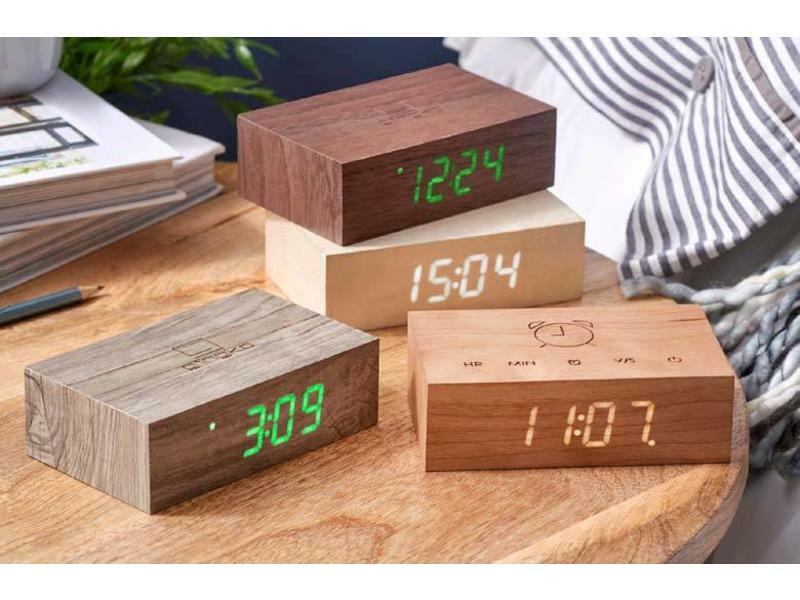 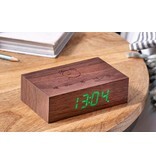 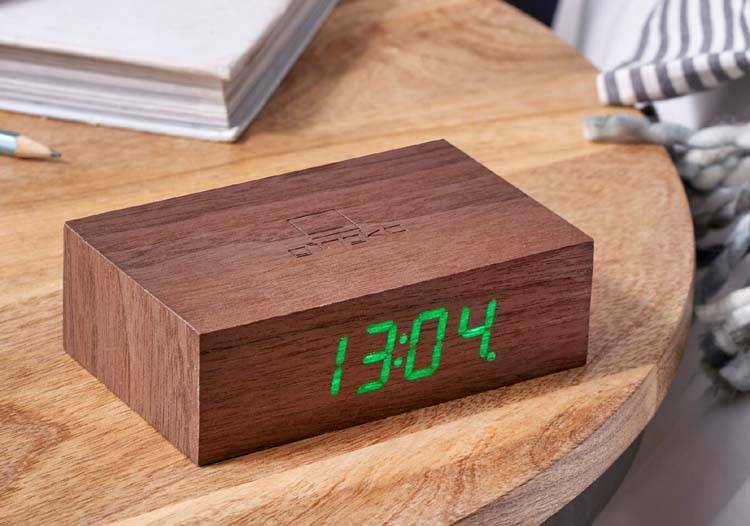 Gingko's 2nd generation click clocks stand out because of their sleek design, finished in wood and equipped with the new flip alarm technology, easier than ever to use! 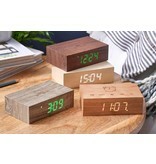 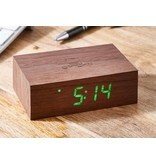 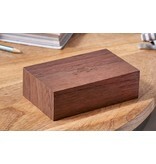 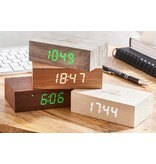 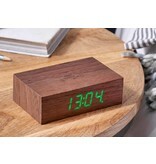 Time, date and temperature at the click of your fingers. 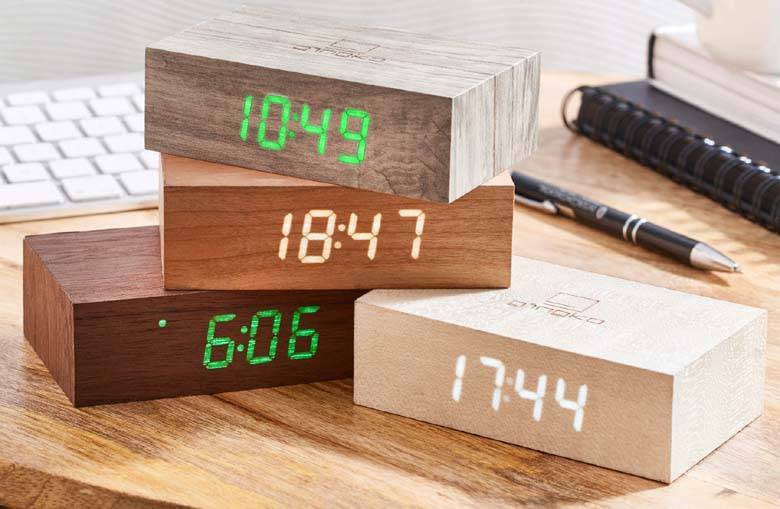 Snap your fingers or clap your hands and the digital numbers turn on (to automatically extinguish after a while, unless otherwise set).